Adelaide Hashimoto women are 7 times more likely than men to develop a thyroid disorder, however, both genders have similar symptoms. Hypothyroidism is one of the most common thyroid disorders. One recent analysis suggested that up to one in 10 women over age 60 has clinical or subclinical hypothyroidism. Hypothyroidism is characterised by mental slowing, depression, dementia, weight gain, constipation, dry skin, hair loss, cold intolerance, hoarse voice, irregular menstruation, infertility, muscle stiffness and pain, and a wide range of other unpleasant symptoms. Men can also experience erectile dysfunction if the thyroid disorder is not well managed. Thyroid hormones directly act on the brain, the GI tract, the cardiovascular system, bone metabolism, red blood cell metabolism, gallbladder and liver function, steroid hormone production, glucose metabolism, lipid and cholesterol metabolism, protein metabolism, and body temperature regulation. The thyroid can be compared to the central gear in a sophisticated engine: if that gear breaks, the entire engine goes down with it. Though not as common as hypothyroidism, hyperthyroidism is often a more serious condition, because it is associated with an increased risk of heart attack, stroke, and death. Symptoms of hyperthyroidism include palpitations, rapid heartbeat, excessive sweating, weight loss, diarrhea, anxiety, feeling warm even when others are not, increased appetite, and insomnia. At my clinic is see many Adelaide Hashimoto clients. The two major causes of thyroid disorders are nutrient deficiency (primarily iodine, zinc, and/or selenium) and autoimmune disease. Iodine is a crucial nutrient for thyroid function. Thyroid hormone is rich in iodine, and deficiency of iodine can cause both hypothyroidism and goiter (a swelling of the thyroid gland). Zinc is required for the synthesis of thyroid hormone, and deficiency of zinc has been shown to result in hypothyroidism. Selenium, a cofactor for iodothyronine deiodinase, is required to convert T4 (the inactive form of thyroid hormone) into T3 (the active form of thyroid hormone). Selenium deficiency exacerbates conditions caused by inadequate iodine intake, this is extremely common in my Adelaide Hashimoto patients. The most common autoimmune cause of thyroid problems is Hashimoto’s disease. In Hashimoto’s disease, the body attacks the thyroid gland, progressively destroying its capacity to produce thyroid hormone and resulting in hypothyroidism. Some studies suggest that up to 90 percent of people with hypothyroidism have Hashimoto’s disease. Many Adelaide Hashimoto conventionally trained clinicians will simply run a TSH test and call it a day. However, this misses critical information we need to know about your thyroid metabolism. During my Adelaide Hashimoto treatments diagnostic treatments I perform extensive thyroid blood test including TSH, T3, T4, free T3, free T4, and thyroid antibodies. This shows us exactly what hormones your thyroid is making and how much. This test can also identify if a thyroid condition is caused by autoimmunity or a nutrient deficiency. Hashimoto’s often manifests as a “polyendocrine autoimmune pattern.” This means that in addition to having antibodies to thyroid tissue, it’s not uncommon for Hashimoto’s patients to have antibodies to other tissues or enzymes as well. The most common being coeliac disease. Addressing the immune imbalance is critical to stopping further destruction of thyroid tissue, and in cases where Hashimoto’s is caught early enough, it may prevent hypothyroidism from developing in the first place. Likewise, if iodine and/or selenium deficiency is driving your thyroid problem, then restoring healthy iodine and selenium levels is the most logical first step to take. Again, this may not eliminate the need for replacement thyroid hormone, but it can often significantly reduce the dose that’s required to normalise thyroid function. With all of this in mind, let’s look at dietary, lifestyle, and supplement strategies for addressing iodine or selenium deficiency and autoimmunity, the two primary causes of thyroid disorders. • Certain foods (goitrogens) that can increase the need for iodine or damage the thyroid gland. • Dietary intake of iodine and selenium. • Consumption of foods that potentially trigger an autoimmune response. • Very-low-carb diets, which can decrease thyroid function. Foods that have been identified as mildly goitrogenic are yuca (often called cassava or manioc), soy, millet, sweet potatoes, and cruciferous vegetables like cabbage, broccoli, Brussels sprouts, cauliflower, bok choy, kale, and collard greens. The main goitrogenic chemicals include percolates (used in jet fuel), oxazolidines (used in paints), amiodarone (used in medication for irregular heart beat), and lithium and benzodiazapenes (drugs used for depression and anxiety). At relatively low concentrations, goitrogens decrease the uptake of iodine by the thyroid gland. This effect can often be offset by supplementing with iodine. However, exposure to large amounts of goitrogens impairs the incorporation of iodine into thyroid hormone itself, which means that the thyroid gland can’t properly utilize the iodine. In this case, no amount of supplemental iodine would be able to overcome a large intake of crucifers or exposure to goitrogenic chemicals. It’s highly unlikely that consuming sauerkraut as a condiment (one or two tablespoons with meals) or three to six servings of cooked cruciferous vegetables each week will have a negative impact on the thyroid gland if the iodine intake is sufficient. Many of these foods have beneficial properties as well, so it’s probably wise to leave them in the diet. If you are pregnant or nursing, you should eat greater amounts of iodine-containing foods like fish and seaweeds, or further restrict intake of potentially goitrogenic foods to ensure that the baby obtains adequate amounts of iodine. Once again, strict avoidance of these foods isn’t necessary. Steaming or boiling them reduces their goitrogenic effect, and eating moderate amounts of them raw should not cause problems if your iodine intake is sufficient. Iodine deficiency remains a significant problem for my Adelaide Hashimoto clients. In Australia, most people have sufficient blood levels of iodine, but deficiency is not uncommon, and this is especially true among pregnant women. Iodine is present in iodised salt, commercial dairy products (due to the iodine-containing cleansers of milk cans and teats), certain breads (where iodine is occasionally used as a bread dough conditioner), and in seafood and sea vegetables. On the AF Health 30 day reset diet, the primary sources of iodine would be iodised salt, seafood, and sea vegetables. The table below lists the iodine content of selected foods, in micrograms (mcg) and as a percentage of the daily value (DV) of 150 mcg, which is the amount of iodine the Food Standards Australia & New Zealand recommends adults consume daily. For people with low levels of iodine in their diet, I suggest a higher dose of 800 mcg to 1 mg per day. • Use kelp flakes in place of salt. They’re great on eggs, in soup, or on any other food that might need salt. Just a quarter-teaspoon per day would more than satisfy the daily need for iodine. • Use kombu to flavor soup or stews. Add one four- to six-inch piece (about six grams) to a soup about 15 minutes before it’s finished. • Eat seaweed as a snack or side dish. Rehydrate arame, hihiki, or wakame and eat them as a snack, or make them as a side dish. • Make nori (sushi) rolls. Nori is lowest in iodine among the seaweeds, but it’s handy to use because of its flat, thin shape. Use nori as a wrap instead of bread. One note of caution about iodine: start iodine at a lower dose and build up slowly. Some studies suggest that high doses of iodine can trigger or exacerbate autoimmune thyroid disorders. Start with a small amount of the varieties of seaweed that aren’t quite as high in iodine (i.e., dulse, wakame, and nori) and increasing slowly over several weeks. If you experience symptoms of hypothyroidism (e.g., cold hands and feet, constipation, hair thinning or falling out, brain fog) or hyperthyroidism (e.g., insomnia, heat, sweating, diarrhea, anxiety), reduce the iodine-containing foods, ensure selenium is adequate, and consider trying again after a period of higher selenium intake. For those concerned about seaweed coming from Japan after the Fukushima nuclear disaster, a recent study published in Nature estimated that the total annual effective dose of radiation from seaweed consumption from 2011 to 2013 in the Fukushima area was 0.03 mSv per year. The average Australian is exposed to around three mSv of background radiation a year. A woman is exposed to about 0.4 mSv of radiation when she has a mammogram and around 0.03 mSv during a 10-hour airline flight. So small amounts of sea vegetables are not a problem. That said, if you wish to minimize the risk as much as possible, find certified organic products. Selenium is a trace element naturally present in some foods and also available as a dietary supplement. It plays critical roles in thyroid hormone metabolism, DNA synthesis, reproduction, and protection against oxidative damage and infection. Selenium is required to convert thyroid hormone from T4 to the more active form T3. While selenium deficiency is rare in Australia, additional selenium (from food or supplements) can be helpful for those with thyroid disorders, especially when their selenium intake is on the low end of the normal range. The recommended daily value (DV) for selenium for adults and for children age four and older is 70 micrograms (mcg), but I suggest that people with thyroid disorders aim for about 200 mcg per day. I’ve listed the selenium content of selected foods below. As you can see, ocean fish are some of the best sources of selenium in the diet. A combination of seafood, Brazil nuts, and the other foods listed above should be sufficient to reach my recommended target of 200 mcg per day. Certain foods like nightshade vegetables, eggs, and dairy products may exacerbate autoimmune disease in certain people. These foods are most likely to be problematic in those with thyroid disorders caused by Hashimoto’s or Graves’ disease, rather than iodine or selenium deficiency. I recommend an autoimmune diet for all people with autoimmune thyroiditis. This diet excludes suspicious foods for 30 days and then adds them back in, one by one, to determine if they’re causing a problem. These are all healthy foods when well tolerated but may provoke or perpetuate inflammation in those with autoimmune disease. Many of my Adelaide Hashimoto & Graves patients are able to tolerate some or all of these foods without a problem. The key is to experiment to determine where you fall on that spectrum. At the end of the 30-day period, we can begin to introduce these foods one at a time. Most of my patients with autoimmune disease do better when they avoid grains entirely. This is particularly true for wheat, which contains gluten, wheat germ agglutinin, and other proteins that have been shown to provoke an inflammatory response. Industrial seed oils (corn, soybean, cottonseed, sunflower, safflower, etc.) are prone to oxidation and promote inflammation when consumed in excess. You must minimise intake of these oils by avoiding processed and refined foods and making restaurant meals an occasional treat, rather than a daily occurrence. Both carbohydrates and protein promote the release of insulin, and insulin is required for proper thyroid hormone metabolism. More specifically, insulin is needed for the conversion of T4 into T3. T4 is the primary thyroid hormone secreted by the thyroid gland. However, T4 must be converted into T3 for optimal thyroid function to occur (because T3 is about five times more metabolically active than T4). If insulin levels are chronically low due to a very-low-carb or low-protein diet, then the conversion of T4 to T3 may be reduced and thyroid function may suffer. Adrenal stress, which may appear as low cortisol or high cortisol, can drag down thyroid function, and thyroid disease can put a strain on the adrenal glands. All people diagnosed with thyroid issues must modulate the stress response in conjunction with autoimmunity. • It depresses the function of the hypothalamus and the pituitary gland. These glands are responsible for telling the thyroid gland to produce thyroid hormone, so anything that affects them will also affect thyroid function. • It reduces the conversion of T4 to T3. As I mentioned above, most of the thyroid hormone produced by the thyroid gland is in the relatively inactive T4 form and must be converted into the more active T3 for optimal thyroid function to occur. • It promotes autoimmunity by weakening immune barriers. The gastrointestinal tract, lungs, and blood–brain barrier are the primary immune barriers in the body. Stress weakens these barriers, weakens the immune system in general, and exacerbates autoimmune disease. • It causes thyroid hormone resistance. In order for thyroid hormone to have a physiological effect, it must first activate receptors on cells. Stress—via its tendency to provoke inflammation—has been shown to reduce thyroid receptor site sensitivity. • It causes hormone imbalances. Stress can raise cortisol levels, and prolonged elevations of cortisol decrease the amount of free, active thyroid hormone that is available to act on cells and tissues. Stress management may be one of the most important steps in healing the thyroid gland. So you must reduce daily stress as much as possible to heal your thyroid. This can be done through exercise, herbal supplementation, and daily routines. There’s a strong but little-known connection between gut health and thyroid function. Seventy to 80 percent of the immune cells in the body resides in the gut, and intestinal bacteria assist in the conversion of T4 to T3. Inflammation in the gut can increase cortisol levels, and high cortisol also reduces the conversion of T4 to T3. Low stomach acid, small intestinal bacterial overgrowth, and chronic parasitic, fungal, or bacterial infections in the gut all contribute to leaky gut and systemic inflammation, both of which in turn can trigger or exacerbate autoimmune thyroid disease. Intestinal permeability, or leaky gut, can be an underlying cause of autoimmune thyroiditis. Essentially, a breach in the gut barrier exposes the bloodstream to harmful foreign molecules. The immune system reacts with an inflammatory response, and this can eventually lead to a mistaken immune attack on the body’s tissues, like the thyroid gland. Along with stress management, healing the gut is absolutely crucial for those with thyroid disorders. Exposure to ultraviolet light may help put the brakes on an overactive immune system. The more sunlight people get, the lower the risk that they will develop some autoimmune conditions. Researchers aren’t entirely clear how sunlight protects against autoimmune disease, but one possibility is that ultraviolet radiation suppresses the immune system and not enough sunlight leads to an overactive immune system that attacks its own organs and tissues. Importantly, these immune-suppressing effects of sunlight appear to be completely independent of vitamin D.
• People with fair skin should aim for spending about half the amount of time in the sun that it takes for their skin to turn pink (without sunscreen), two to three days a week. This could be as little as 10 minutes for those with very fair skin. Those with dark skin may need up to two hours per day to generate the same amount of vitamin D.
I suggest that most people try to meet their needs for iodine and selenium by eating the foods I listed in the tables above. However, if you are deficient in these minerals it is recommended to supplement for a minimum of 3 months to bring your levels back to optimal range. Selenium supplementation has been shown to benefit people with autoimmune thyroid conditions. One study found that supplementing with selenium reduced levels of thyroid antibodies in the blood, even in people that had adequate selenium levels in their blood to begin with. Another study found that selenium supplementation reduced inflammation in patients with autoimmune thyroid disease. Maintaining adequate vitamin D levels is crucial for proper thyroid function. Vitamin D plays an important role in balancing and regulating the immune system, which is especially important for those with autoimmune thyroid disorders like Hashimoto’s. It’s no surprise that vitamin D deficiency has been specifically associated with autoimmune thyroid disease and that vitamin D supplementation has been shown to benefit autoimmune thyroid conditions. Glutathione is the master antioxidant in the body. It protects against oxidative damage, and like vitamin D, it helps to balance and regulate the immune system. Glutathione has been shown to be low in patients with Hashimoto’s and Graves’ disease, and improving glutathione status (with NAC supplementation) has been shown to improve thyroid autoimmune conditions. • Protein supports glutathione production (and the recycling of glutathione for re-use within the cell). I suggest eating at least 15 percent of calories from protein to maintain optimal glutathione status. • Collagen-rich animal parts (skin, cartilage, and bone) contain glycine, which is needed for glutathione synthesis and recycling. I suggest people have bone broth every day. • Polyphenol-rich fruits and vegetables (e.g., berries, peaches, pears, pomegranates, purple sweet potatoes, broccoli, garlic, cabbage, spinach) stimulate the production of glutathione. • Selenium-rich foods like Brazil nuts, ocean fish, and poultry assist glutathione in its role of protecting against oxidative stress. Zinc is required for thyroid hormone synthesis, and low zinc status reduces the conversion of T4 to T3. Studies have shown that zinc supplementation can improve thyroid function. Some herbs have a stimulatory effect on both T4 and T3 hormone, protects against oxidative damage, and reduces the impact of chronic stress. Other herbs have an immune balancing and anti-inflammatory effect shown to reduce autoimmune thyroid conditions. A simple TSH test is simply not a good indicator of thyroid function. 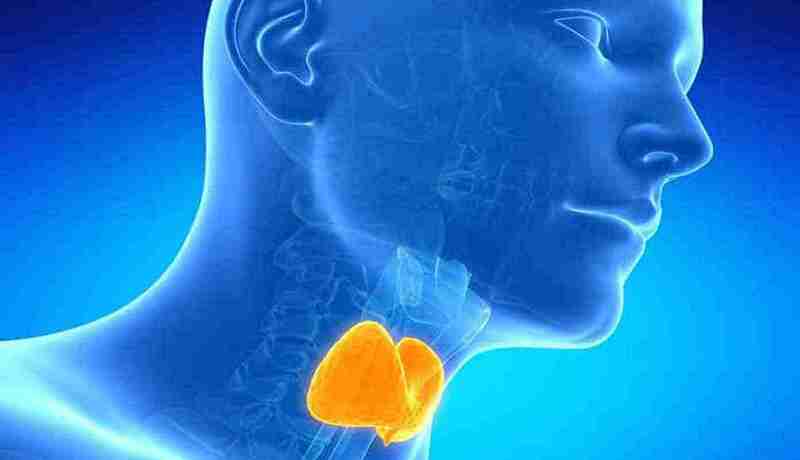 Often Adelaide Hashimoto clients will have normal TSH levels however their conversion of T4 to T3 is impaired resulting in hypothyroidism. Unfortunately, people can live for years with hypothyroidism because the standard TSH test showed no issues. At the AF Health clinic, we have teamed up with some of Australias best laboratories performing the best in extensive Thyroid analysis. These test show if thyroid issues are due to a mineral deficiency or an auto-immune condition. Hypothyroid conditions cause decreased motility in the gut, often leading to SIBO. Over 55% of people with Hashimoto's have SIBO and this significantly exacerbates their symptoms. Intestinal bacteria assist in the conversion of T4 to T3, so any disruption to the beneficial bacteria can decrease this conversion. Pathogenic bacteria cause inflammation in the gut, leading to systemic inflation, increased auto-immunity, and intestinal permeability. If thyroid conditions are not identified early, irreversible damage can occur. Thyroid disorders such as Hashimoto's must be diagnosed and treated by professionals with experience in thyroid disorders. ⟵How many daily steps should I aim for?